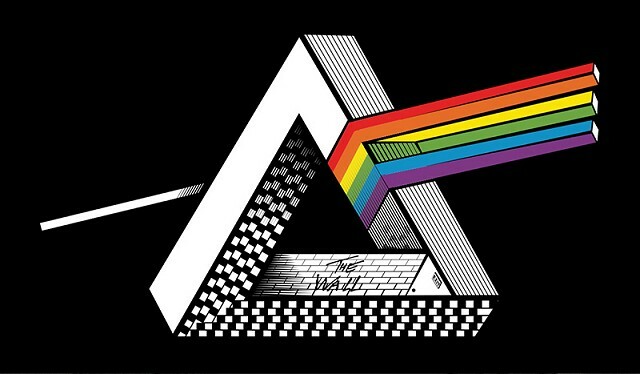 This is a new variation on album cover of Pink Floyd "The Dark Side of the Moon" (1973). Except replacement of glass prism to impossible triangle, there's also another impossible figure in this image. A ray of light breaks apart into impossible spectrum. The image was found at http://yuri-lobo.deviantart.com/art/The-Impossible-Side-of-the-Moon-572044171.